The Ultimate Database for Small Businesses: What’s the Trick? In our quest to propel our businesses forward, we often find ourselves exploring all possible avenues. Which database best suits my business? Which technology is applicable to my database? For small business owners, such questions often linger in our minds. The fact that you have a small business does not mean that you should not take advantage of technology. It is your right. However, several small businesses struggle with their databases. Whether it is MS Outlook, MS Excel or Constant Contact, maintaining a database for all the business aspects has often proven challenging. Is there a single database that can help me handle all the work without using multiple databases for different tasks? Event scheduling – this provides you with a manageable calendar for reminding you and your team of future events. It becomes better if it can offer automatic invitations and RSVPs. To-do list – you need a convenient place to keep track of your tasks, not your email inbox. The system should also be able to create an unscheduled task and move it to your calendar by simply adding a date. Messaging – for most businesses, messaging is more than just email. You need to keep in touch through texts, social messaging, IM, and tweets. Finding a system that factors in multiple messaging channels is better. Most importantly, it must be able to take care of contact preference. For instance, a client in Asia might prefer instant messaging to email. Other centres of focus should include segments and patterns of managing your contacts. To achieve stronger contact relationships through the database, you need to understand the complexities involved. For a database that can easily be segmented, you will have an easier time. Most small business owners find it difficult to get the right database for their tasks because of common confusions. There is a distinct difference between a CRM and an email marketing platform. Well, both can be used in sending email messages but that is where it ends. There are many differencesbetween the two and you need to know them in order to know what to expect. While an email marketing platform can be used to send personalised messages to different recipients, CRM messages are addressed to single contacts. An Auto Responder functionality in email marketing that can address several personalised messages to a given contact. Most small business databases do not provide that automation. Instead, they are manual. Outline your needs – it is important to be precise on what you would want the software to accomplish. Your needs must be definite. Otherwise, you will be using multiple databases for multiple tasks, none of which guarantee efficiency. Does your business entail emailingthe same message to different people? By defining your needs, you will have an easier time acquiring and operating your database. Focus on necessity – for efficiency, you only need to acquire systems that address the most pressing needs. Find a perfect match for your needs. For instance, Zoho CRM based Auto Responders have turned out perfect with most white paper programs. Think easy monitoring – the joy of using databases for small business is being able to capture changes and monitor connections with lots of ease. Your choice of database should guarantee efficiency in the daily operations by providing an easy monitoring system. Easy integration – as seen earlier, finding a single system that addresses all the rising needs of a small business is not the easiest of tasks. 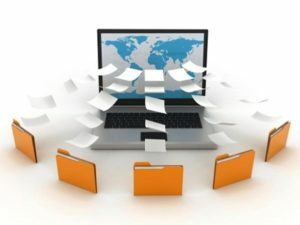 With that in mind, it is necessary to acquire databases that can easily synchronize to provide cohesive management. They should be able to share information without the need to copy and paste. Take, for instance, the ability to share Nimble contacts with MailChimp. This allows easier establishment of relationships. For a business aimed at delivering marketing campaigns, you will be able to achieve that the easier way. Prioritise real-time interaction – a database that guarantees real-time interaction with contacts is more preferable. It gives you the competitive advantage of faster response to the needs of your clients. From the multiple databases, you should choose one that offers easier communication in real time. In addition to this, the choice of database for your small business should be able to observe device independence and collaboration. In case you find it difficult to reach a conclusion, it is important to seek professional assistance. Do not buy the myth that only multibillion-dollar companies can benefit from professional remote DBA consulting services. Find out from experienced experts the best combination of technology that will deliver the desired results for your business. You must be able to share your business needs with the professional, only focusing on what matters. Every business wants to move forward. At the centre of this prosperity lies efficient use of technology. For smaller businesses, an efficient, well maintained database might be everything you need to push your business forward. While there might not be a single database that meets all the needs of a business, it is possible to acquire a perfect combination of systems that will guarantee efficiency. For this to be possible, you need to outline your business needs and only focus on what matters. Sujain Thomas is a California-based database administrator. She has offered remote DBA consulting services for more than fifteen years. You can visit her website or simply contact him if you have any inquiries. NextHow does digital signage help you in creating your own brand identity?